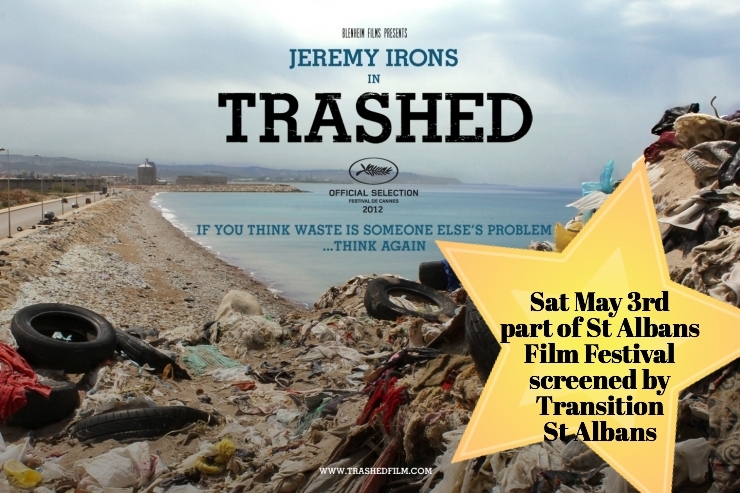 On Saturday 3rd May 2014 Transition St Albans are screening TRASHED – as part of st albans film festival. this award winning film is about global waste- the degradation, and the solutions, and is narrated by Jeremy Irons. The film makers say ‘We hope the film will demonstrate that by changing the way we live our lives, we can contribute to our own survival and well-being and ultimately that of the planet’.